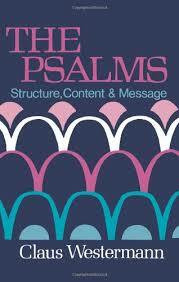 Psalms of Praise by individuals are common in the Psalms. They tend to take up where the lament left off. The Sadness is turned to Gladness. All the Time, God is Good. Now the Spirit expressly says that in later times some will depart from the faith by devoting themselves to deceitful spirits and teachings of demons,  through the insincerity of liars whose consciences are seared,  who forbid marriage and require abstinence from foods that God created to be received with thanksgiving by those who believe and know the truth. For everything created by God is good, and nothing is to be rejected if it is received with thanksgiving,  for it is made holy by the word of God and prayer. Do remember the discussion of Genesis 3, with the Serpent, the Woman and Adam? God’s original command had been freedom with one restriction. They were free to receive from any tree, except one. Do you remember how the Serpent turned that upside down and tried to make the one command into a total negation? This is a pattern. Often it is religion or it is ethics that tell us that we live in a world of restrictions with very few freedoms. The Bible is about the freedoms nore than the restrictions. “For everything that God created is good.” Now I know you will dispute some of that. What about illness and death? Those were not part of the original creation, but they entered because of sin. The world as we know it is not the way it is supposed to be. But still the point remains that all that is in the world was made, declared good and has a purpose. Even mosquitoes are good and have a purpose. I do not know that that could possibly be, but I take it by faith. “If it is received with Thanksgiving.” Here is the power of Thanksgiving. My gratitude to God is a principle and a test. It says that in principle that God has given to us the earth to use and enjoy, as long as we recognize him as the giver and that we are the receivers. The world as a thing loved for itself without God becomes an idol that we worship and serve. Money as a thing loved for itself, is a source of much evil. Food that is served and worshipped becomes a god – when it ought to be a meal to be enjoyed. This is a test. I found this question in the Expositor’s Greek Testament – “Is it a thing of such a kind that I can, without incongruity, give thanks for it.” (EGT – IV p.22) Let me translate that into English for you. “Can I honestly give thanks for this thing, in the way I want to use it, without contradiction?” There are certain products and certain companies that I do not like, and so I can not be thankful. It is a gut-check. I don’t want to give you my list. The rule is this ‘can you honestly give thanks for it, without contradiction? If so, go ahead. “…because it is consecrated by the word of God and prayer.” When we give thanks, it is the result of having considered the Word of God. It is the word that ells us that all things are good. It is the word that tells us that all foods are permissible. And by the prayer of Thanksgiving we are giving thanks to God for what he has given us. we do sometimes speak of blessing the foot – what the bible usually demonstrates is giving thanks. God has given us a blessing in the form of food, and we bless god by giving thanks. In the language of the bible “blessing” and “praising” can be the very same word. The food is already a blessing, what we do is offer thanks. Thanksgiving is a very American holiday. It flows not from the text of the Bible but from the pen of the president. At our place of fellowship we have a Thanksgiving eve event called “Praise & Pies” at which we do those things in order. That is sing hymns and then eat pie. Consider this unlikely text in Leviticus 7:11-15. It should be remembered that reading Leviticus is like reading an instruction manual. No one is excited by the manual, nor should they be. the manual helps you do something else. Leviticus is an instruction manual for temple worship. It has a lot of procedural information, but you have to use your imagination to see the real thing. We are talking about something like a bar-b-que or a pot luck. There, after the offering for sin has been made, was an additional free will offering of gratitude. The idea was to celebrate. It was a feast, in the presence of God, with friends. So we see life with God goes along with a celebration in community. all of which was done with food. So our church suppers, pot lucks and so forth have this back drop. This Thanksgiving, give thanks, be with friends, dig in.